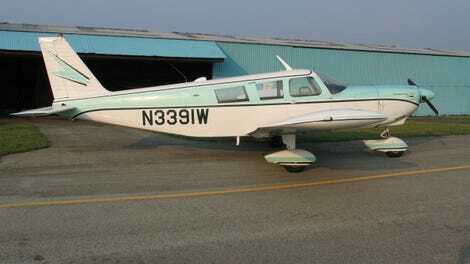 Uncle Don died three years ago this month and this was his 60s era Piper Cherokee that he owned and flew out of Somerset, Pennsylvania. This was the last time I flew with Uncle Don, in 2007. It was a sad day when Uncle Don’s declining health forced him to sell his beloved aeroplane. Uncle Don was always happy for a reason to take a trip around the patch and a visit from his nephew was as good an excuse as any to take her up. Macular degeneration ended Uncle Don’s flying hobby, and cancer ended his life. We just celebrated the life of Aunt Ruth, Don’s wife, a few weeks ago, cancer having taken her as well.